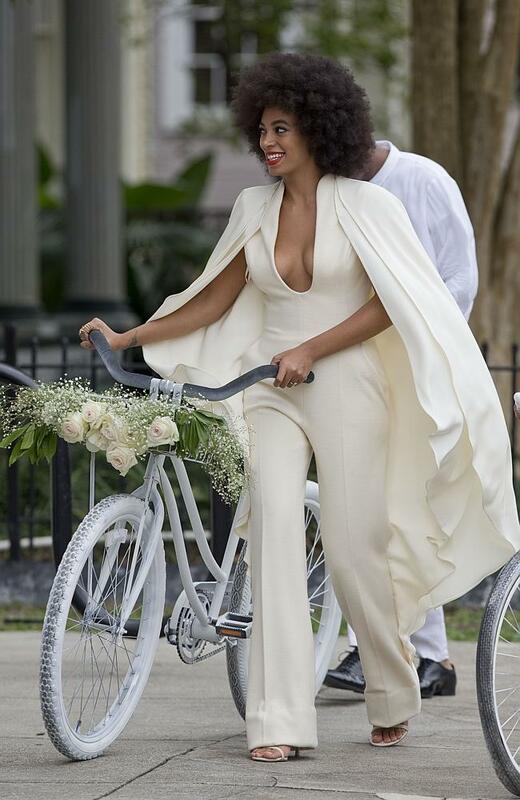 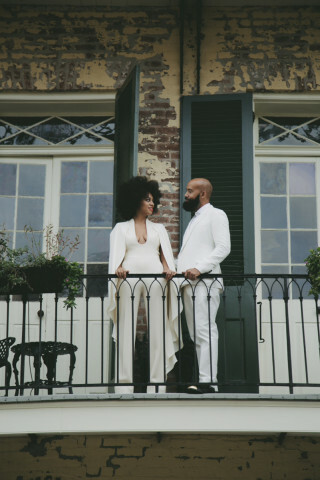 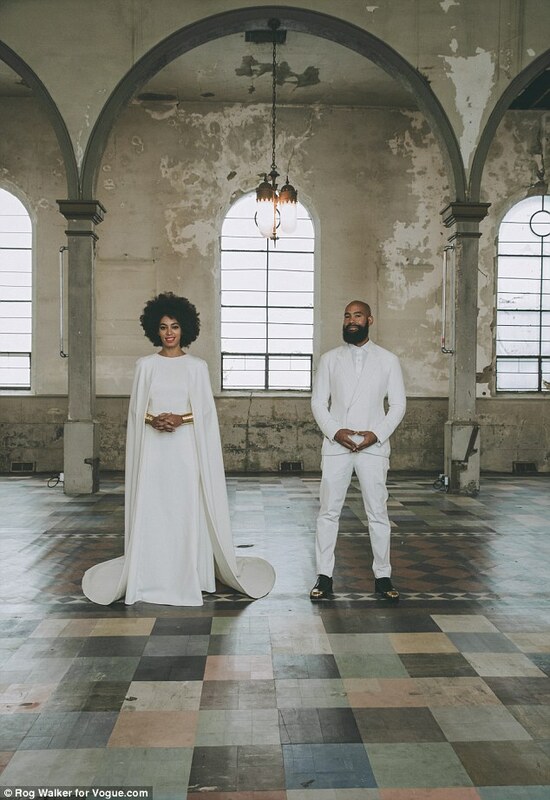 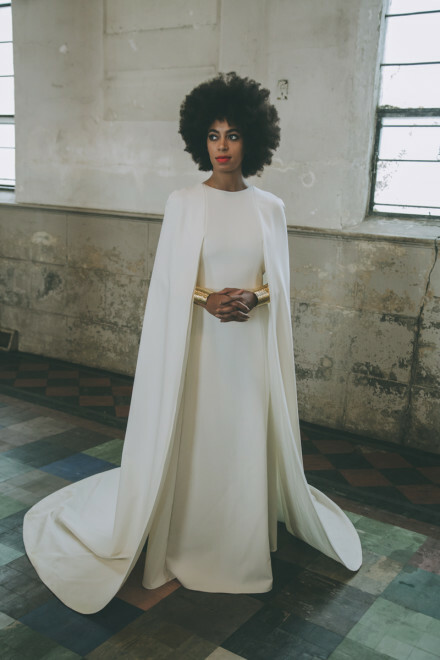 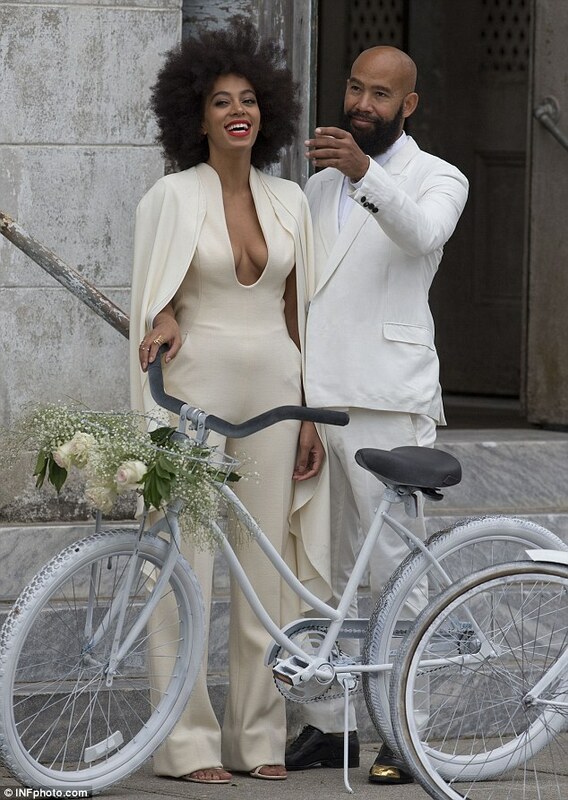 Solange Knowles and Alan Ferguson arrived at their wedding on white bicycles. 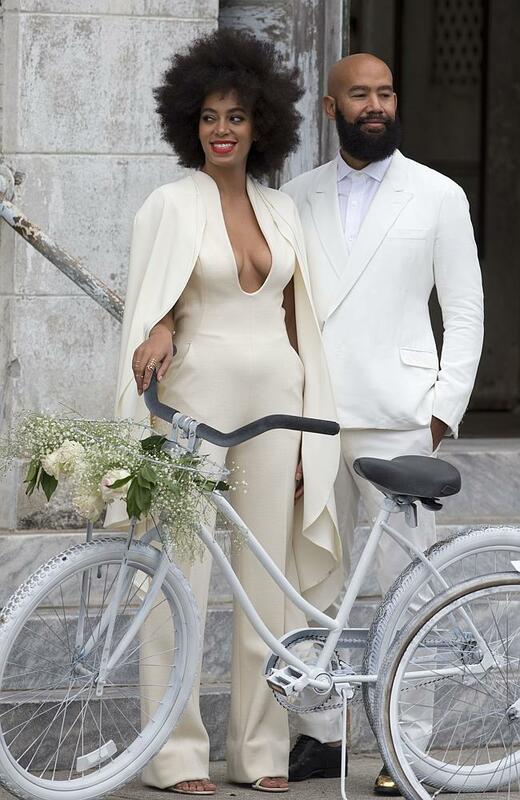 The couple cycled to the Marigny Opera House in New Orleans wedding in matching white bicycles. 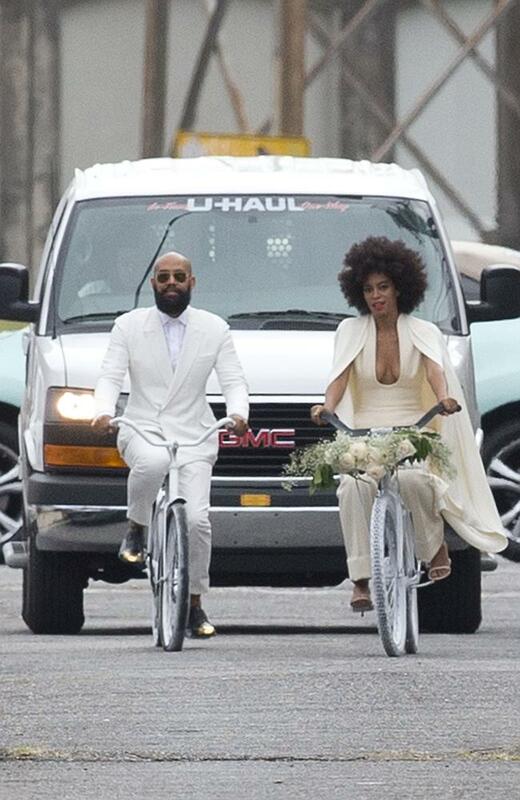 The groom – Alan Ferguson appeared to have had a flat tire on the home stretch of their journey. 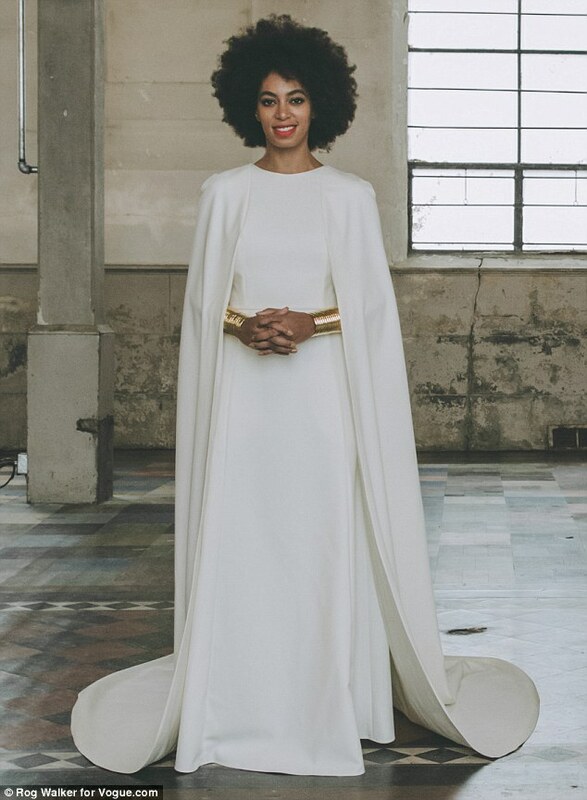 Solange wore a dress by Humberto Leon for Kenzo. 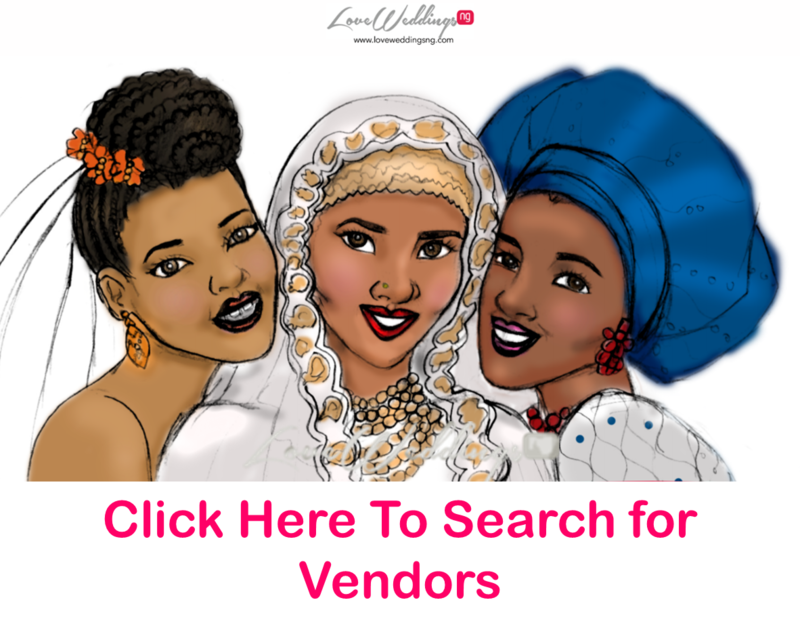 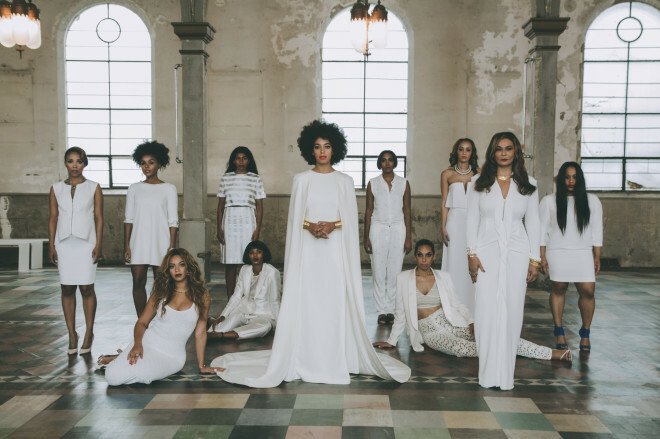 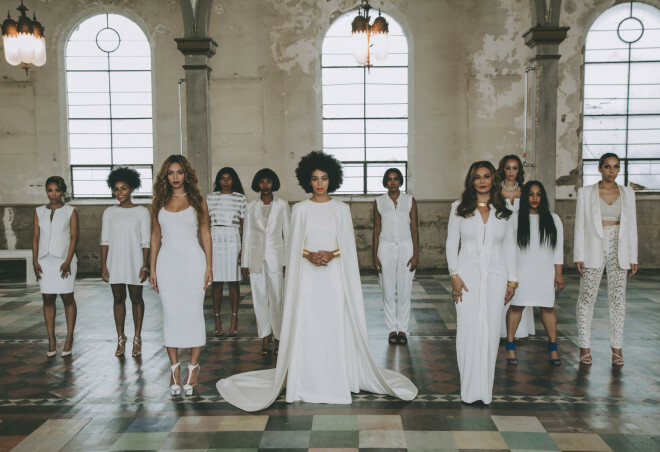 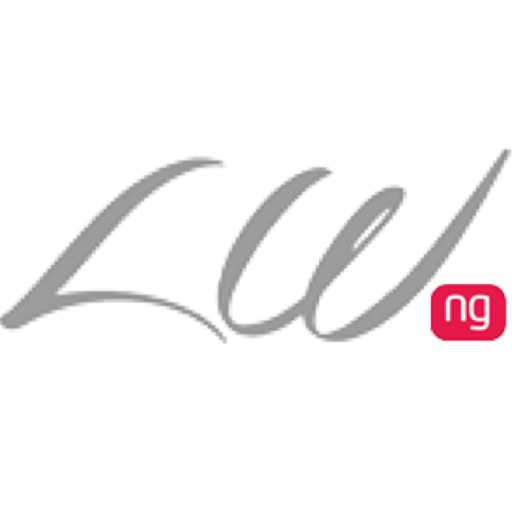 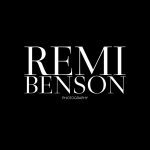 The couple commissioned photographer – Rog Walker to take the official wedding portraits and the stunning all-female family tableau, which had her sister – Beyonce and mother – Tina Knowles in it. 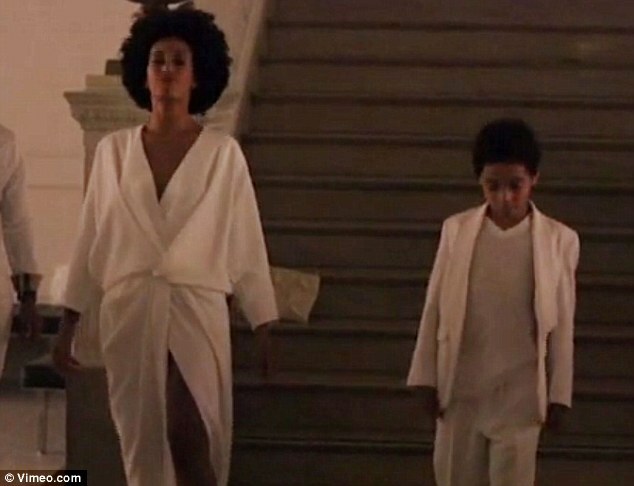 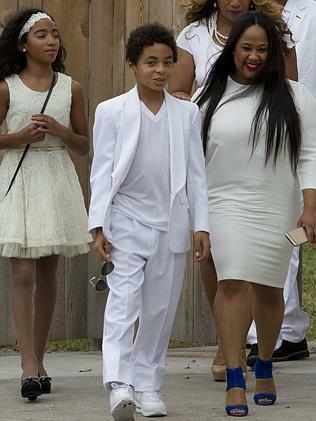 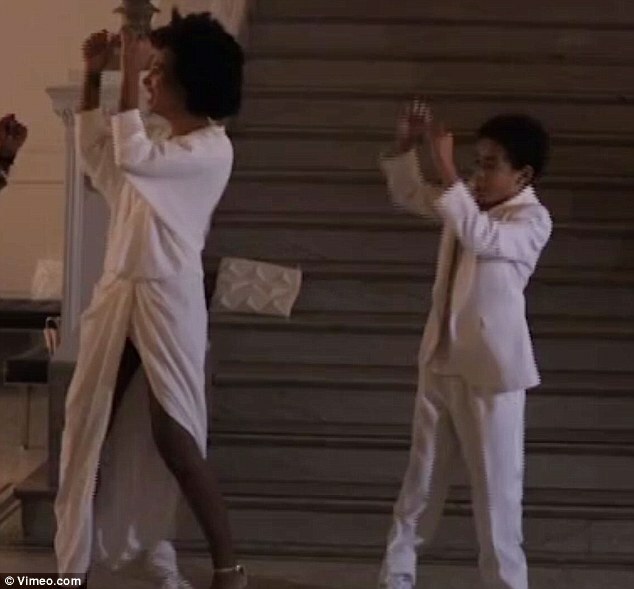 During the reception, Solange and her 10-year old son – Daniel Julez (Jules) performed a choreographed dance to the rap song No Flex Zone by Rae Sremmurd. 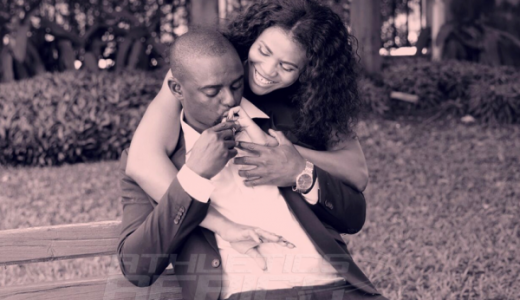 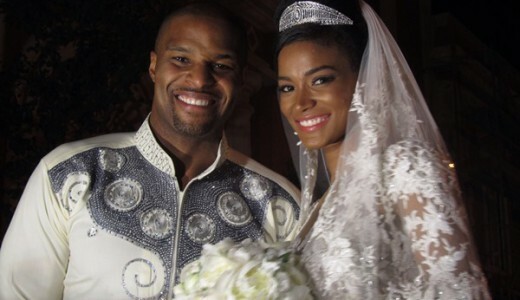 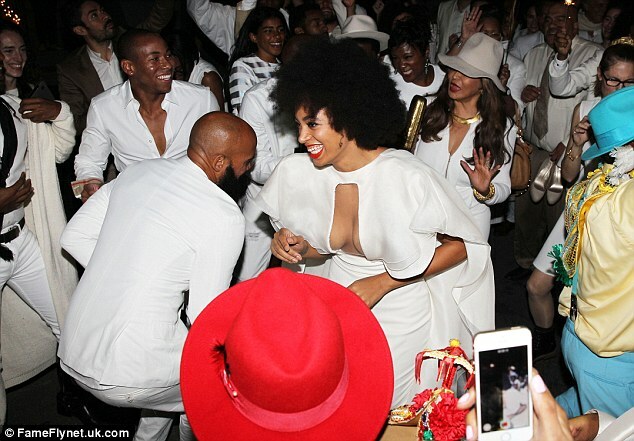 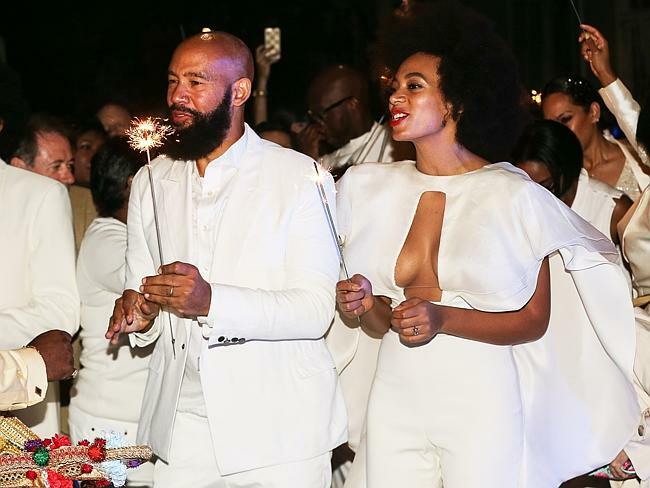 Towards the end of the celebrations, the bride – Solange appears to have suffered a bride’s worst nightmare, breaking out in hives on her wedding day. 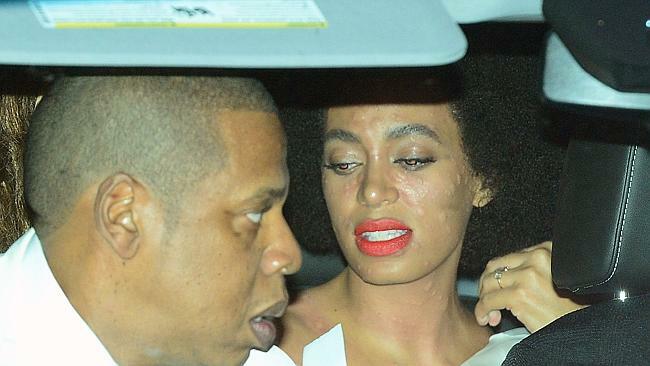 Below, she is pictured leaving the wedding in a car with her sister, Beyonce, and brother-in-law, Jay Z. Solange can be seen with lumps all over her face and neck. 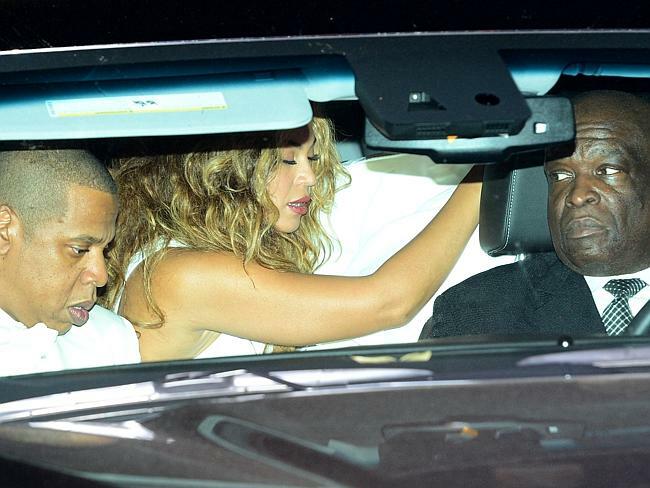 But like any good sister, Beyonce can be seen trying to shield her sister from the cameras. 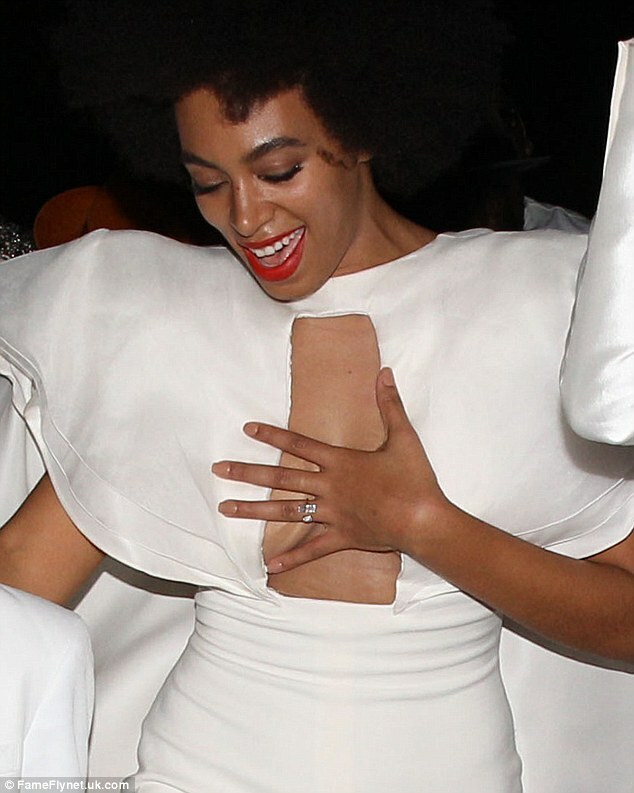 And while it’s not clear what caused the lumps there are certainly worse things that a bride could suffer from on her big day. 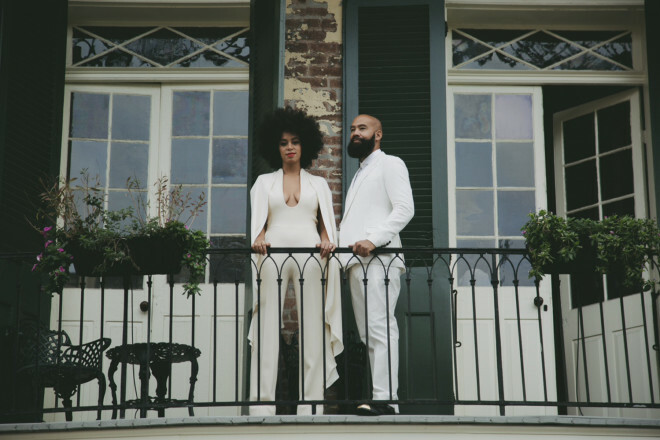 Solange told Harper’s Bazaar earlier this year: “Luckily, I dated all of the losers ages ago. 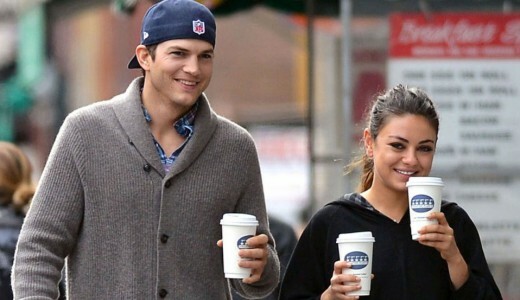 My love life has been stable for a while. 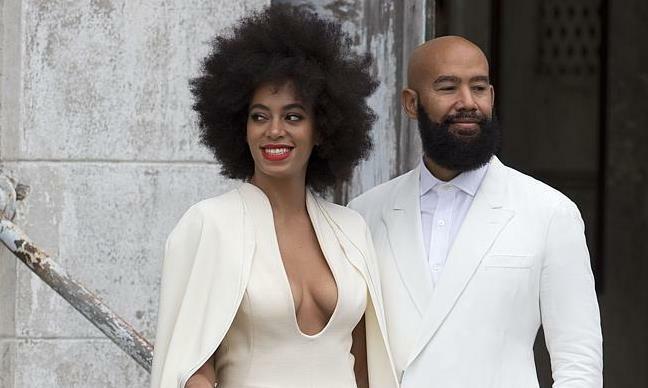 It’s a f — cked up thing … without conflict it’s a lot harder to write interesting songs.” This is Solange’s second marriage; she married her ex-husband Daniel Smith in 2004 where she wore a conservative strapless frock.